ID: 2412 ~ Source: KKK Collection, The Texas Collection, Baylor University. 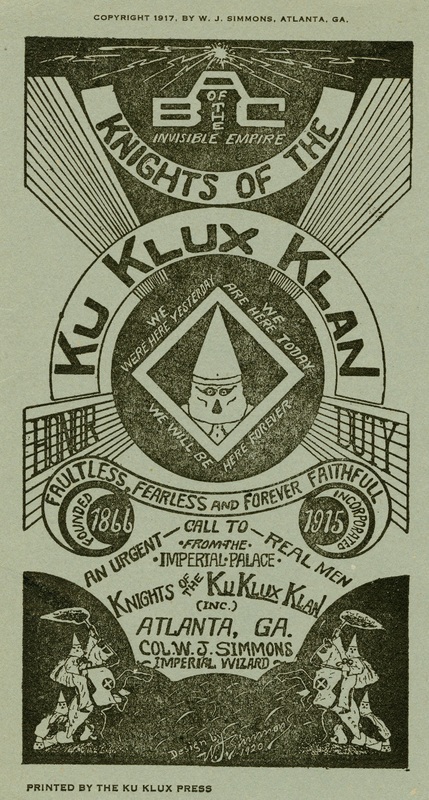 The KKK had five provinces in Texas in 1922, headquartered in Houston, San Antonio, Fort Worth, Dallas, and Waco. State membership stood at 75,000 to 90,000 Klansmen.